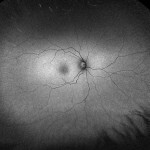 A choroidal nevus is simply an accumulation of melanocytes in the choroid. 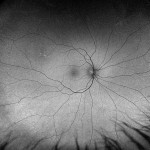 They are a space occupying mass or a benign melanoma. 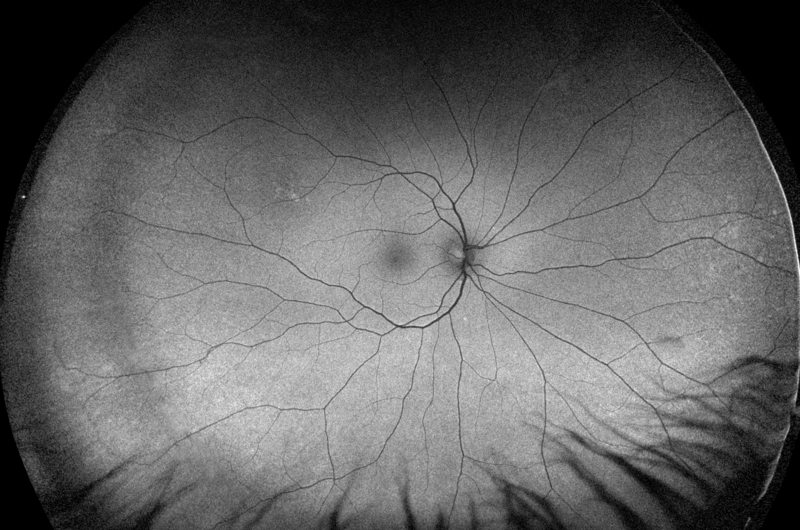 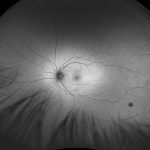 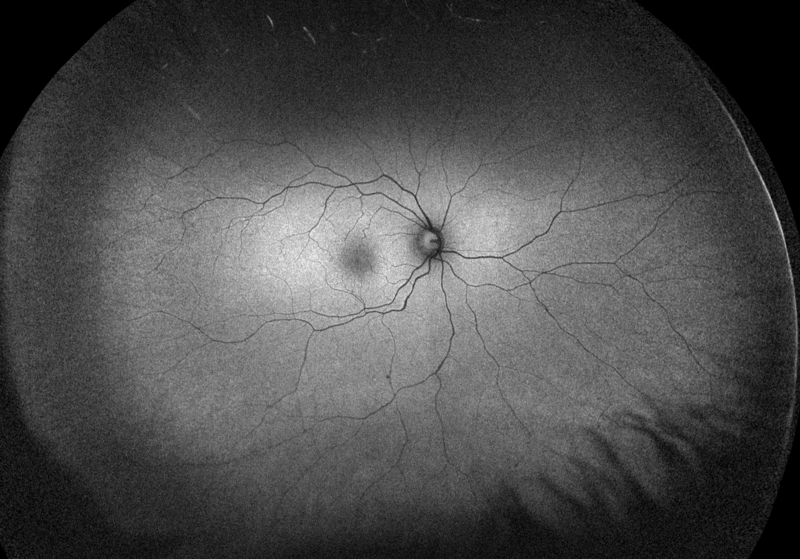 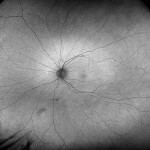 Choroidal nevi are slate gray in color, have indistinct margins, and may be slightly elevated (1-2 diopters). 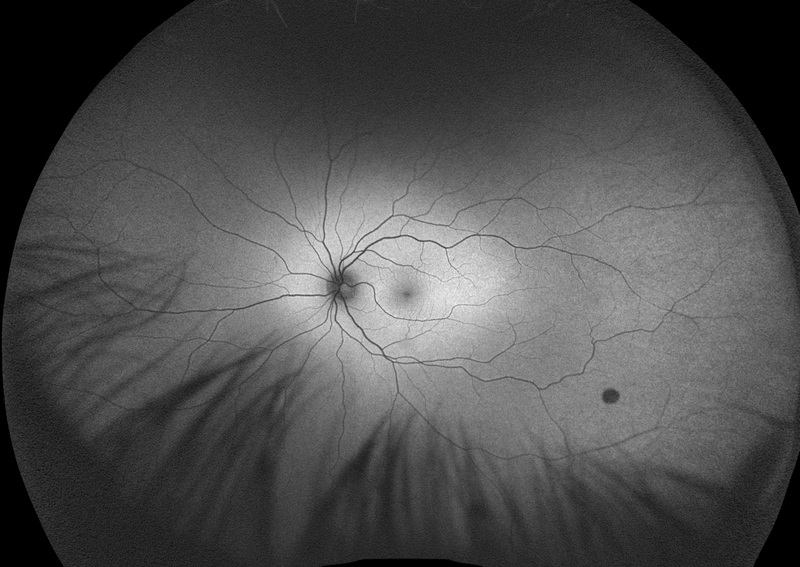 Since they are in the choroid, they are usually only seen in the red separation and not the green. 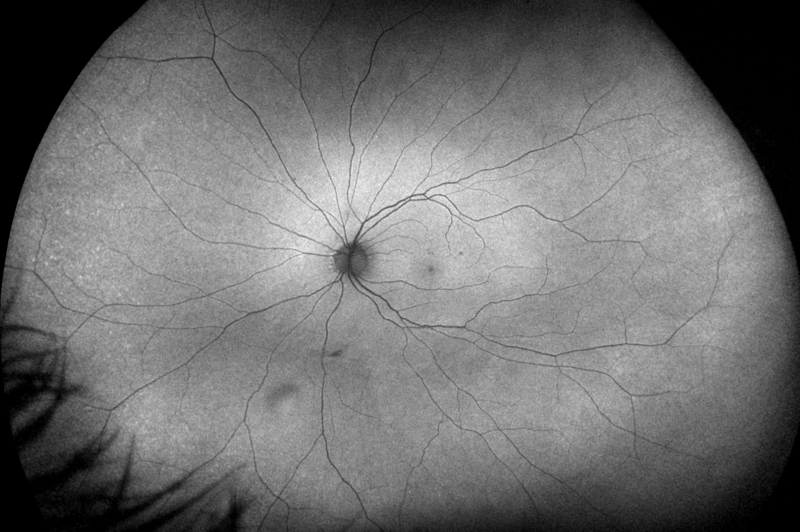 The green separation may show the RPE degeneration associated with nevi which is seen as pigment mottling and drusen.